Bruce A. Hagen has represented clients since 1986 in a variety of personal injury matters. He has handled more than 6,000 personal injury cases for more than 10,000 clients. Some of the issues he handles include wrongful death, auto accidents, bicycle wrecks, bus accidents, cases involving brain injury or drunk driving, slip and falls, products liability, and related litigation and appeals. Mr. Hagen has appeared on television and radio to discuss personal injury law and has been the featured speaker at dozens of legal seminars, including the recent seminar “Trying the Soft Tissue Injury Case in Georgia. 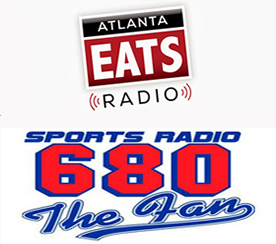 He is a frequent guest on 680 The Fan and a regular contributor on both Atlanta Eats TV and Atlanta Eats Radio. Bruce has a particular expertise and passion for personal injury cases on behalf of injured bicyclists. As a cyclist himself, Bruce is both committed to advocacy for bike safety and education while equally committed to obtaining justice for cyclists that are injured due to drivers’ negligence. Bruce and his mentor, Ken Rosskopf are frequent sponsors of various events within the cycling community. In addition, Mr. Hagen belongs to the Atlanta and DeKalb County Bar Associations, the State Bar of Georgia and the American Association for Justice. He also is a member of Georgia Personal Injury.com and a Champion member of the Georgia Trial Lawyers Association. Mr. Hagen has served as President of the Sandy Springs Youth Football and Cheerleading Association and as President of the North Springs High School Athletic Association. For 9 years, Bruce was “The Voice of North Springs Football” until he recently retired from his announcing duties. A graduate of the University of Florida, Mr. Hagen earned his Juris Doctor from George Washington University. He is admitted to practice in the courts of Georgia, the U.S. District Court, Northern District of Georgia, and the U.S. Court of Appeals, Eleventh Circuit.